This small space was once the main parking area for this cottage lakeside home and was radically transformed into an intimate and inviting courtyard. Defined by a hand stacked fieldstone wall, granite stepping stones lead from the entrance of the garden and gradually wind their way over a stream bed and lead to the porch that borders the garden. Although set in a cold weather climate, the client requested that the garden be developed to have a lush tropical feeling yet remain consistent with the general surroundings. 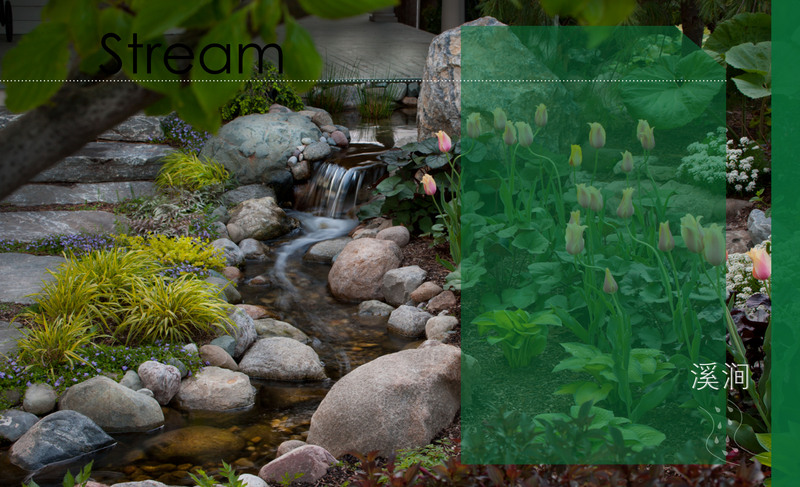 This was achieved by using a mixture of large leafed perennials such as Ligularia, Hosta and Petasites (Butterbur) ,along with various groundcovers and other perennials including Ferns, Iris and Japanese Forest Grass. 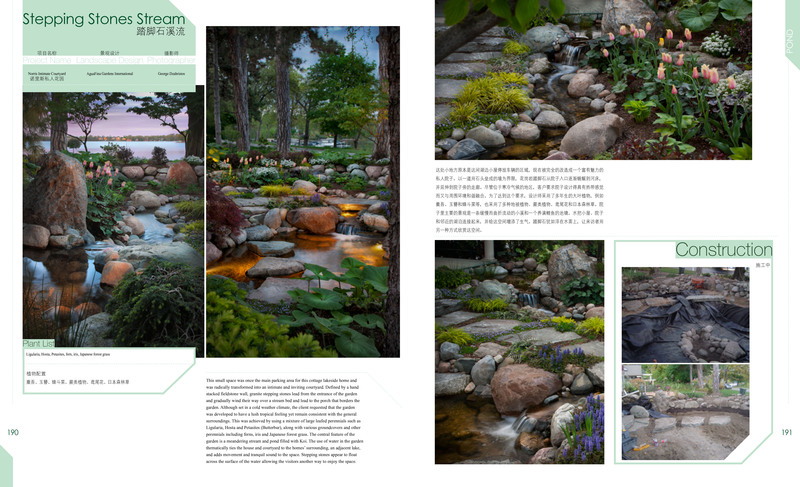 The central feature of the garden is a naturalized meandering stream and pond filled with Koi. The use of water in the garden thematically ties the house and courtyard to the homes’ surrounding, an adjacent lake, and adds movement and tranquil sound to the space. Stepping stones appear to float across the surface of the water allowing the visitor another way to enjoy the space. Scale is essential with even the smallest detail needing to be well executed within such limited space.